These ‘Anytime Nachos’ are great to make for any time of the week – not just for Sunday night football….orr Saturday Leafs games. The first time I’d ever made this was just last summer. We were hanging out with my friend and her Son at the park for the afternoon and my youngest Son, Jack, had a ball game that night. I knew I needed something relatively simple and quick to make so why not try a new recipe at this time, lol!?! Luckily for us, they were quick and easy to make. The longest part of making this was cooking the ground beef. They were so good. I felt guilty that we’d been missing out on these all this time!! Both of my boys were excited to help me out with supper that night. I mean, what kid wouldn’t?!? Chips for supper?! There really is no one way to make these. I just thought back to the one and only time I’ve ever ate them (years ago at a restaurant) and just went from there. Honestly, I don’t ever cook with a recipe. I never really have. I get inspired by pins and food articles, but just use them as a guideline and tweak it to suit our preferences. Now baking… that’s different! I would never be able to bake something with knowing the science behind how much baking powder/soda, flour combinations to put in! I don’t think I’d ever want to attempt that! So for these nachos, it was a real cinch. They were really easy to put together and they didn’t take a lot of time at all. If you have your kids help you out, it’ll be much quicker….well…..maybe??! Let them help chop the veggies or if they’re old enough to, cook the ground beef. If they’re eager to help make meals, why not! If they’re picky eaters like my youngest has started to become, perhaps they’ll be open to trying a new food if they are the ones cooking. Here is the ‘recipe’ we used, but take it as you may. Use it as a guideline and tweak it to fit yours and your family’s taste and preferences. And have your family help out! There’s something for everyone in the family to do with these! Extras: sour cream, salsa and/or ‘guacamole’* for on the side. Start by cooking your ground beef until fully cooked. On a big cookie sheet, cover with parchment paper and spread out the entire bag of chips. Once the beef is cooked, add it on top of the chips. Next, add your desired toppings to the meat and nacho mixture and finish off by covering with the entire pan with cheese. Put in a preheated 400° for approximately 10-15 mins. Just enough time to melt the cheese and to crisp up the chips. 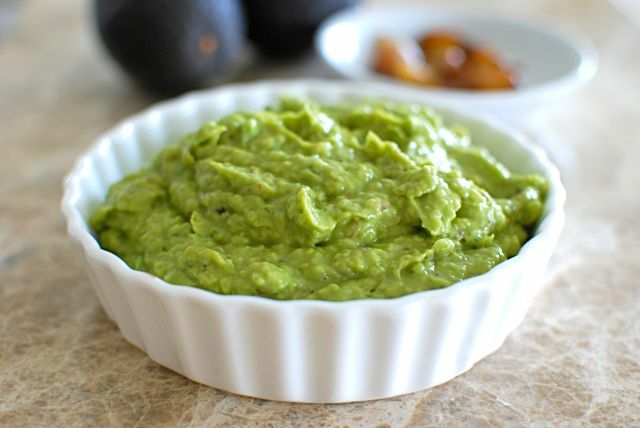 I add and mix together in a small bowl: 1 whole avocado (mashed together using 2 forks), diced garlic (I love garlic so I never measure but probably 1-2 tsps), salt to taste and a couple spritzes of lemon juice (to prevent the avocado from turning brown). I know it’s not technically ‘real‘ guac with onions and tomatoes, but that’s the way I like it! Eat & Enjoy!! Send me some pics in the comments on how yours turned out and what you added!